The two-year MBA program at University of Westminster - Westminster Business School in London was designed to cover key aspects of today's management and leadership principles. The study mode allows aspiring candidates to complete an accredited degree program in Business Administration at a flexible pace, that reduces time from work. The program gives students a competitive advantage in the job market and an extra edge and the strength to become an entrepreneur. The two-year MBA at Westminster Business School is for people who thrive in a small, interactive environments. The study is completed in the evenings, twice a week over 24 months. The students attending The Westminster MBA come from diverse professional backgrounds, including accountants, actuaries, doctors, lawyers, marketing managers, IT programmers and engineers. Attracting students world-wide, the Westminster MBA’s average age of part-time MBA student is 31 years. Classes are small allowing you to establish trusting and supportive environment in which you and your classmates can comfortably experiment with new business ideas and learn from your experiences. Westminster Business School maintains close connections with professional bodies worldwide. Renowned faculty has extensive academic and professional experience ensuring that class work and projects will be applicable to professional practice and relevant to graduates' own work environment. The course content draws on current developments and contemporary issues in international business and management and is taught by faculty with extensive research and consultancy experience. This module includes visits, networking events, speaker events, coaching, career workshops, skills workshops and action learning sets. The module is specifically designed to develop your career plans based on strong personal and professional skills, abilities and networks. If English is not your native language, an IELTS score of 6.5 (with a minimum of 6.0 in each element) is required, or a recognised equivalent. In writing their disseration, candidates need to demonstrate that they can think like a senior executive, analysing complex situations and formulating recommendations and plans that will contribute to business success. The Master of Business Administration degree received by all successful graduates for top executive positions in different business sectors. For up to three years after graduation, successful candidates will have access to a full range of MBA careers support services, including mock interviews, aptitude testing and discussions with the career advisors. Networking opportunities are provided via presentations by employers, professional bodies and the University’s alumni. MBA graduates of Westminster Business School also have access to the QS MBA Careers service. This is an MBA-only service that enables you to upload your details to a CV profile service used exclusively by some of the most successful businesses in the country. The cost of this accredited part-time MBA program is £11,750 per year for both UK and overseas candidates. Westminster Business School is one of Londons leading centres for business education based in the heart of London and its political, media and financial services scene. This video gives you an insight into what is available at the University of Westminster for international students. 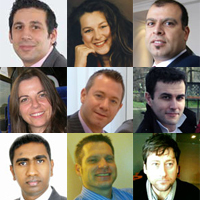 Read more about Westminster Business School alumni experiences.